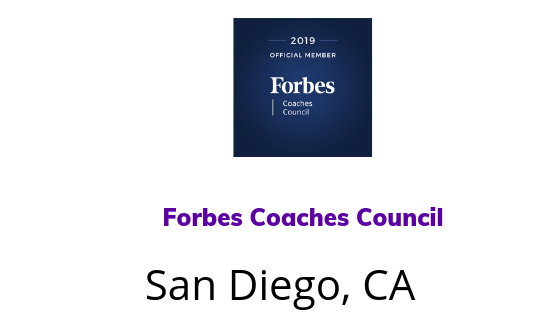 San Diego, CA, August 30, 2018 — Mitch Simon, CEO & Founder of the Simon Leadership Alliance, a San Diego executive leadership training company that specializes in high performance teams, has been accepted into Forbes Coaches Council, an invitation-only community for leading business and career coaches. Mitch Simon was vetted and selected by a review committee based on the depth and diversity of his experience. Criteria for acceptance include a track record of successfully impacting business growth metrics, as well as personal and professional achievements and honors. As an accepted member of the Council, Mitch has access to a variety of exclusive opportunities designed to help him reach peak professional influence. He will connect and collaborate with other respected local leaders in a private forum. Mitch will also be invited to work with a professional editorial team to share his expert insights in original business articles on Forbes.com, and to contribute to published Q&A panels alongside other experts. Finally, Mitch will benefit from exclusive access to vetted business service partners, membership-branded marketing collateral, and the high-touch support of the Forbes Councils member concierge team. The Simon Leadership Alliance is a top executive leadership training company awarded by the San Diego Business Journal that specializes in building high performance teams. Since 2002, the Simon Leadership Alliance has coached and trained teams and executives across San Diego and around the world impacting the lives of thousands who use their skills to make the workplace a dynamic place that focuses on both personal and professional development.